Pro tip: You're able to utilizing dynamic tags to personalize your message. 3. 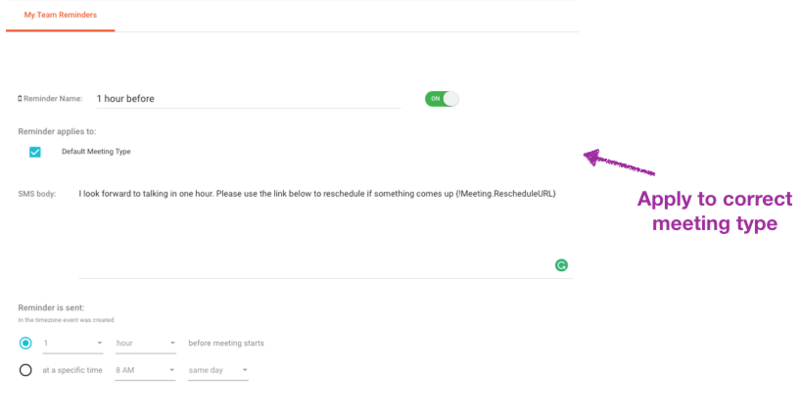 Set Send Times and Configure Message settings. Pro Tip: For Inbound Router customers, you'll want to have the reminder sent from "Assignee", not "Booker". Please review this link when configuring response settings.